Concrete Slabs Suppler Bristol Concrete slabs can very much enhance your garden and ensure that you can enjoy an array of benefits from this versatile and strong landscaping product. The use of concrete slabs especially in patios is very beneficial to your garden and we would like to offer these benefits to you. In this article we will discuss the benefits offered from using these slabs as a landscaping product as well as how concrete slabs will serve you in your patio endeavours. Concrete as a material is ideal to use and it is very sensible indeed to consider it as a landscaping material. If you are curious in finding out more about concrete as a landscaping material or if you are looking for a concrete slabs supplier in Bristol then be sure to visit our King Acre Landscaping Centre Bristol Branch or be sure to call us on: 0117 967 9056. Concrete in Landscaping Why is concrete such a widely used landscaping product? It is largely due to its customisation and strong properties. It is perfectly suited for the outdoors and the British climate. This means that your concrete slabs can be used in patios as well as other areas such as walking areas and pathways. This material is especially useful in terms of its chemical formulation, as it has added components during creation that give it additional manmade properties. Due to the fact that concrete is created, it can also be treated with additional materials to increase its strength and environmental durability. With good maintenance and careful treatment, concrete will last an extremely long time and with high quality concrete; you can guarantee strength, affordability and longevity. This is the power of concrete as a landscaping material and what makes it such a largely desirable material. What About Concrete Slabs Specifically? Concrete slabs are ideal for use within your garden and improvements in your household due to their affordability and practicality. Concrete slabs can also be implemented and used in combination with a variety of other landscaping products and materials. As our concrete slabs are of many different designs and aesthetics; they can blend with other materials and this means that they can be effortless integrated with other areas of your garden. They can even be used as key focal points in your garden and this serves to shape your desired design yet further. With paving and patio concrete slabs, the advantages are obvious especially in conjunction with the strengths of concrete as a material. Your patio will last for a very long time and with careful maintenance can be enjoyed for many years to come. Cracking resistance is also imperative, especially within paving areas. You will be able to keep your patio and paving areas maintained as well as looking amazing all year round. Purchase Concrete Slabs For Your Garden Today Concrete slabs are a very important cornerstone landscaping product that can be implemented a long side almost all landscaping products. They are a very sensible investment due to their longevity and this results in you being able to create your dream garden at a very affordable price. Concrete is an important landscaping material that you should definitely take full advantage of within your garden. If you are considering implementing patio or paving into your garden then it is very much recommended that you consider concrete as your material of choice. If you are interested in finding out more about concrete slabs as a landscaping product or if you yourself are looking for a concrete slabs suppler in Bristol then be sure to contact King Acre Landscaping Centre today or give us a ring on: 0117 967 9056. Decorative Aggregates Bristol Decorative aggregates are useful all over your garden and this makes them a very desirable and sought after landscaping material. They are also very affordable and can be used in many different landscaping applications. When considering which decorative aggregates you are going to use in your garden, you may have questions about your specific requirements and the decorative aggregates that best suit your landscaping project. Even though they are such an impressive landscaping product, it can be difficult to visualise how and where you should implement these aggregates into your landscaping design. This article will go into further detail about how and when you should implement decorative aggregates into your garden as well as discuss the factors which make decorative aggregates such an important landscaping product. If you have more questions about the use of aggregates in landscaping or if you are looking for decorative aggregates in Bristol then be sure to come and visit King Acre Landscaping Centre in Bristol or call on: 0117 967 9056. How and When Should You Consider Decorative Aggregates You should consider using decorative aggregates in your garden when you are creating a designated space with a particular design aesthetic. Decorative aggregates can be used to fill areas of your garden whilst also making them seem attractive and well thought-out. This is especially true when covering large expanses as you can cover these areas easily and effectively. When creating certain shapes such as square designs of colour, decorative aggregates are very impressive in the way in which they can be used in the surface of your garden. These intricate designs are very traditional and feature within many famous gardens from across the world. The use of decorative aggregates in landscaping has been the norm for centuries and this demonstrates the very effective and powerful effect that these stones evoke within your garden. It is important therefore to consider using these stones in your garden as they can be used to great effect within your landscaping design. Uses of Decorative Aggregates You can use decorative aggregates across your garden. There are many uses in which they are very useful and one of these uses comes in the form of creating boarders for your green areas in your garden. The colours available will enhance these areas and make them look very distinct within your garden. As well as making them distinct, the uses of stones in these area are also advantageous due to the fact that aggregates can offer protection to your plants. The stones can absorb moisture which helps the plants to grow. The clear borders can also show clearly where your plants are growing and this clearly indicates to visitors where you are growing your plants. If plants are planted as saplings or seeds, they are very vulnerable to damage and designating a clear area to show where they are growing will help to protect them from accidental damage. You can also use decorative aggregates across many different features in your garden such as water features and pond areas. Stone is a wonderful accompaniment to water features as many decorative aggregates look better when they are wet. They are also naturally found within rivers or ponds which maintains the natural look of your water features as well as is safe for the water. Purchase Decorative Aggregates in Bristol Today Now that you know about the times in which to use aggregates and the use of decorative aggregates in your garden; you may be thinking about purchasing these stones for your garden. They are a great landscaping product to use in your garden as well as the fact that they can be used all over your garden. Our expert team are also available at our Bristol branch to advise you on which aggregates would best suit your garden as well as being able to show you all of our extensive aggregate range. If you are interested in learning more about decorative aggregates in the garden or if you are looking for decorative aggregates in Bristol then visit us at King Acre Landscaping centre today or call us on: 0117 967 9056. Patio Slabs in Codicote Patio slabs can be implemented in many a different garden and there are a lot of uses and aspects to enjoy should you decide to install a patio in your garden area. When choosing which patio slabs to put into your garden, you may have a number of questions about what makes a specific patio slab the best choice. You may be asking yourself which is the best material to use or which design and colour of patio slab best suits my garden? This article will discuss patio slabs in detail, highlighting the different patio slab materials available in our range as well as the design aspects that we have to offer here at King Acre Landscaping Centre in Codicote. If you have any further questions about patio slabs in Codicote or if you are looking for patio slabs in Codicote then we are more than happy to assist you. Ensure that you visit us today or give us a call on: 0143 882 1887. Which Materials Are on Offer? Concrete is a very useful and practical material to consider when thinking about which material is best suited for your patio design. It is very reasonably priced as it is manufactured and it is also strong in conjunction with natural stone. It is also treated to offer other resistances such as increased resistance against cracking as well as temperature resistance. As concrete is also a smooth material, a variety of colours and designs can be added to the material. This results in concrete being a very good choice for the material of your desired patio slabs. Natural stone is also a lovely material to consider for your patio. Natural stone embraces the aesthetic of nature as well as being strong. The natural colouring of natural stone is also very desirable and this is reflected in famous landscaping materials such as indian sandstone. Natural stone can also resist cracking if looked after and maintained correctly. Designs of Our Patio Slabs in Codicote Our patio slabs come in a range of traditional and modern aesthetics and this allows you to choose from a wide range of designs to suit your specific landscaping design. Our patio pacs are also set out in different designs and are one large slab which can be used as the centre piece for your patio. Our chalice circle patio pac for example embraces the traditional aesthetic and has a smooth look and texture making it a wonderful patio slab to use as a patio centrepiece. Our Aurora Circle patio pac creates a bold focal point to your patio and this can be implemented to make your patio stand out in your garden. These patio pacs can be used by the expert landscaper as well as the prospective landscaper as they are fixed pieces of patio. This also offers a design advantage as our patio pacs are very user friendly. Contact Us For Patio Slabs in Codicote Patio slabs are a wonderful addition to your garden and can really serve to enhance your garden area. 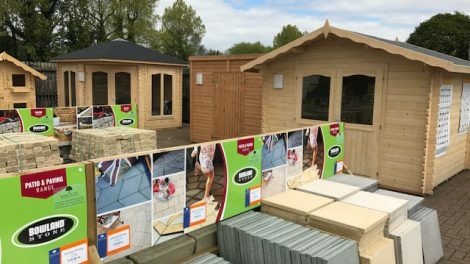 If you choose to implement a patio in your garden then we are able to assist you on choosing the patio slabs that best suit your needs as well as offer additional landscaping products that you may require such as extras for your patio and other products to enhance your current garden design. If you are considering installing a patio in Codicote then we are ready to assist you. If you require patio slabs in Codicote then be sure to visit King Acre Landscaping Centre today or give us a ring on: 0143 882 1887. Stones for Gardens in Codicote Garden stones are a product that have a wide range of uses in the garden. The fact that there is a selection of sizes and colours to choose from results in garden stones being able to be used across a range of applications. This article will discuss how you can implement garden stones within your landscaping design or to enhance your current garden. These stones have a variety of uses that you can enjoy today! 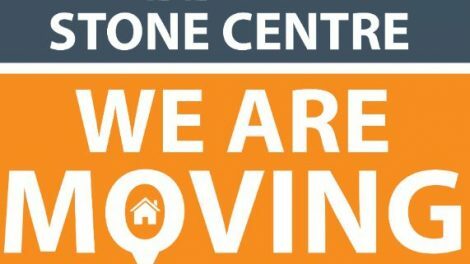 If you are looking for stones for gardens in Codicote then visit King Acre Landscaping Centre or call us on: 0143 882 1887. Why Are Garden Stones a Quintessential Landscaping Product? Garden stones are very important in landscaping as they can be used in many different ways. Larger stones such as rockery stones and much larger stones such as boulders can be used to create clear focus points in your garden. Including a variety of large stones results in a clear focal point in your design which will draw the eye when somebody is looking over the entire garden area. This means that you can use larger stones to enhance a current garden design or create a completely new design. Smaller stones are often used to fill out certain areas as they can be used to cover the surface of the floor and are available in many different colours. They also offer practical advantages such as creating a safer surface on the ground which may not serve as a decorative purpose. The other practical uses of garden stones are to cover damaged areas that may be damaged by the weather or by activities in the garden. These stones can be used to cover these areas as stones are a lot easier to maintain than grass and cover these areas very effectively. Using a Selection of Stones for Gardens As these garden stones are very diverse, it is important to use a selection to gain the best results. When enhancing an area of your garden, a selection of colours can be used to create an entirely new design. This can take a current feature to new heights as well as making full use of the practical advantages that garden stones provide. Establishing clear colours and patterns within your garden is a very simple but effective way to really add to your current garden design. Implementing vibrantly coloured garden stones such as our slate or crushed glass can also be used to emphasise your greenery and shrubberies. The bright colours often compliment the natural green of plants and can create wonderful designs around trees and other feature plants. Garden stones can also be used in other areas and are not just limited to your garden. Perhaps your driveway requires additional stones to fill it out or create a new design. This feature is a perfect example in which you can combine the practical advantages of garden stones with their aesthetic benefits. There are endless landscaping opportunities available to you when you decide to utilise our garden stones. 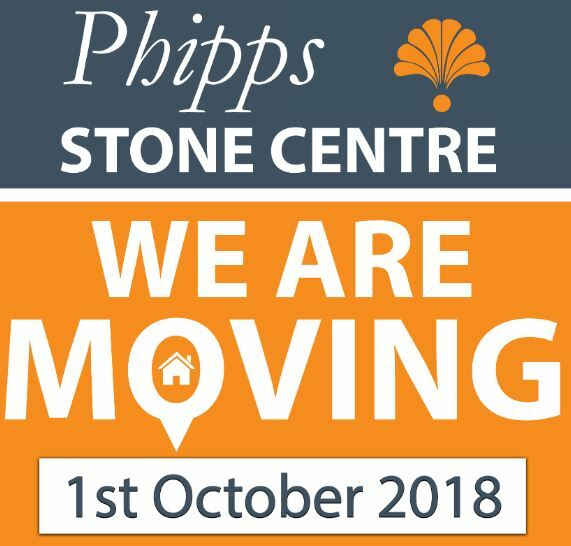 Purchase Stones For Gardens in Codicote! Now that you have discovered the advantages of using garden stones it’s time to consider which stones you require and what you are setting out to achieve with your landscaping design. There are a wide number of places that you can use our garden stones which offer benefits to the design of your garden as well as practical benefits that can help you with the maintenance and upkeep of your garden. 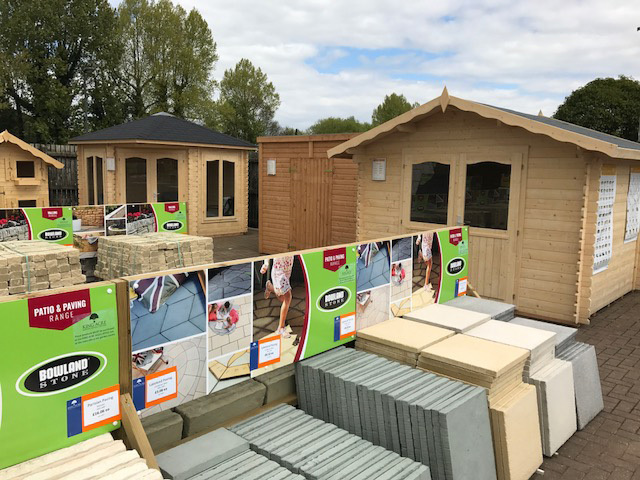 If you are looking to purchase stones for gardens in Codicote then be sure to visit us today or give us a call on: 0143 882 1887.